Our specialist kit for those with a brand spanking new car. 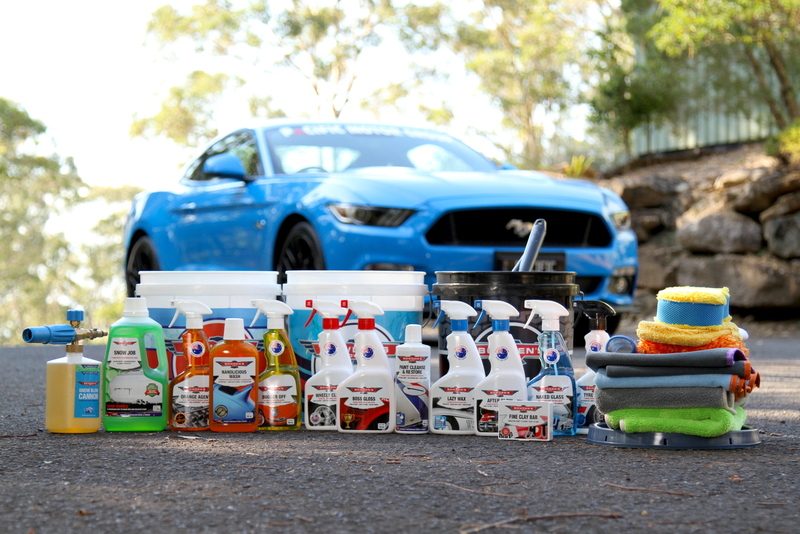 The Brand Spanking New car care kit contains all you need for when you first take delivery of the new member of your family. We know you want the very best gear, to protect and enhance your big investment, so we have made this kit 100% with that in mind. 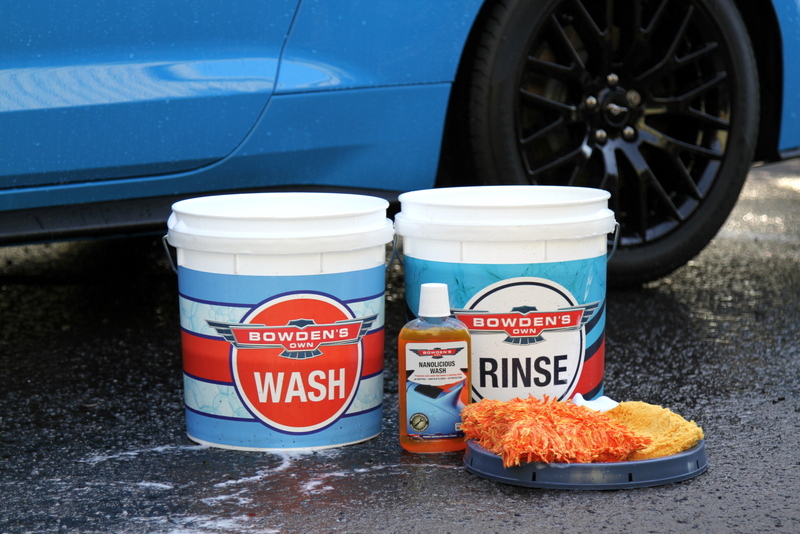 From a decent and easy to use paint protection system with our Paint Cleanse & Restore, Lazy Wax and Fully Slick, to the right gear to maintain it, with all the correct washing tools, including our great wheel and tyre cleaners. We have included what's needed for cleaning and protecting the dash, door trims, hard plastic and even the seats if it is covered with a vinyl or leather substitute material. 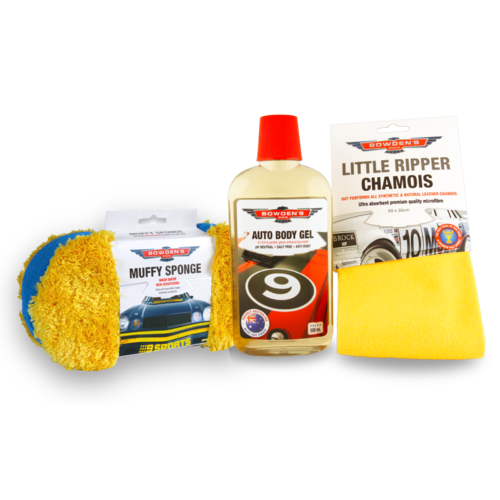 If you have leather, or suede, micro-suede, alcantra or fabric interior, you can easily add either a Leather Care or a Fabric Refresher pack to this kit. 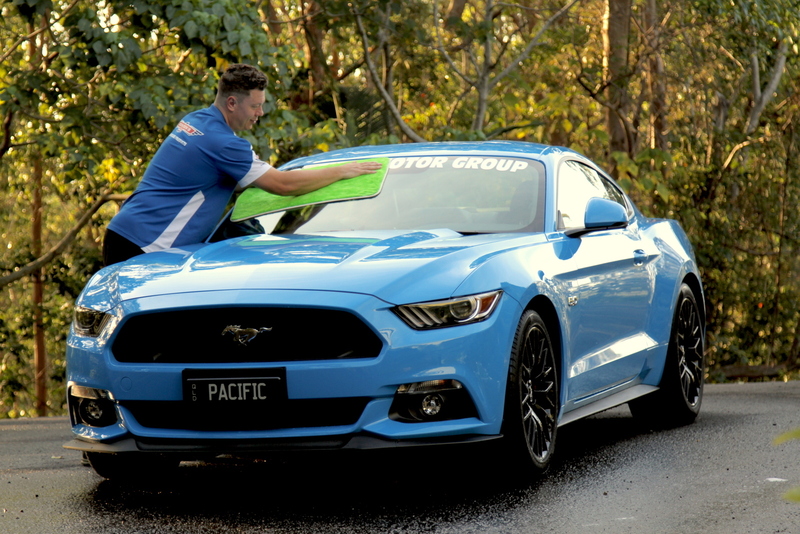 Of great use will be our in depth instructional new car care guide, with all the tips, tricks and procedures to keep your new 4 wheeled friend looking as good, if not better than when it first arrived in your care. Buckets x 3 (Wash x 1, Rinse x 1 and Wheels x 1) + 2 Bucket Lids - Proudly Australian made, solid construction. Great Barrier Thingy x 2 - All Australian designed and made. Traps dirt at the bottom of your bucket to help reduce the chance of scratches and swirls. Nanolicious Wash - Our dream wash, created with the finest modern ingredients available. 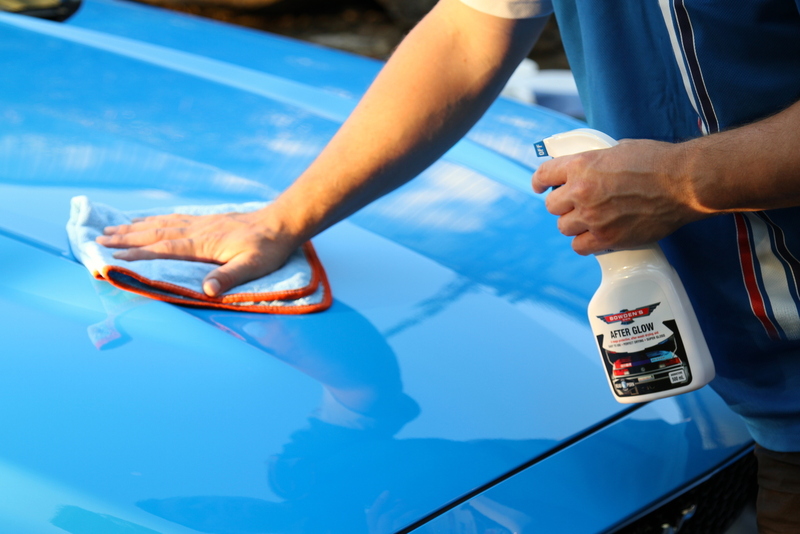 Boss Gloss - Our fastest and easiest to use detailing spray. 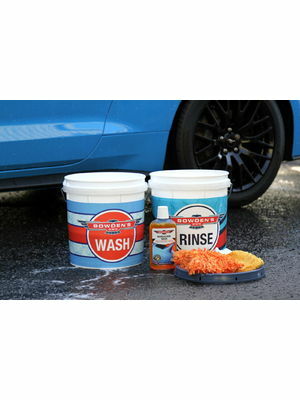 Claying Rubber - Cleans and restores the paint surface back to a smooth finish. Paint Cleanse & Restore - Our modern and sophisticated replacement for old school abrasive polishes. Lazy Wax - The fastest and easiest way to wax your car. Fully Slick - A protective detailing spray that leaves a beautiful, glossy and slick surface. 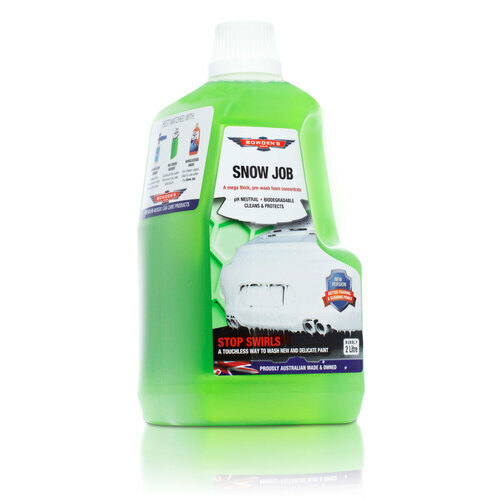 Wheely Clean - The fast and easy way to remove heavy brake dust. Tyre Sheen - Get a long-lasting classy sheen, that doesn't fling. Sacrificial Muffy - A great and cost effective applicator for our Tyre Sheen. Naked Glass - For perfectly clear and bare glass. No streak formula, no ammonia. Orange Agent - Super versatile citrus pH balanced cleaner, to remove silicones, oils and heavy grime from most surfaces. Vinyl Care - Unique rejuvenating, silicone free dash and trim protectant, that's not greasy or slippery. Shagtastic Wash Pad - Groovy blend of funky fibres work together to give a blissful, safe wash experience. Big Green Sucker - The fastest and most luxurious plush drying towel you will ever use. Circle Work (Blue Piping) - Specially created microfibre applicator mitt - save your time and energy to get a beautiful professional finish. Big Softie x 2 (Blue Piping x 1, Orange Piping x 1) - Ideal for buffing off cleanser, polish and wax residues. Perfect for use with After Glow. Drop Bear x 2 - Ideal for the final wipe down/removal of quality waxes and cleaners, and for use with our detailing sprays. Dirty Deeds - A very useful cloth, created for all the dirtier jobs around your car and bike. Square Bear - Created for perfect product application of leather, vinyl and fabric car care products. Plush Daddy - Dual sided, versatile, super soft microfibre cloth for interior cleaning. You will love the Daddy. Microfibre Wash Mini Me - Restores and keeps the softness, plushness and absorbency to your microfibre. You save nearly $86 off the RRP when purchasing this kit. You also get our famous race car lollies, a Microfibre Field Guide and our product Flow Chart, plus a ticket to our exclusive Customer Open Day. A great tool to stop your electrical cords and hoses getting caught around the tyres.